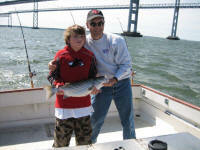 Trophy Striped Bass Fishing starts in April! 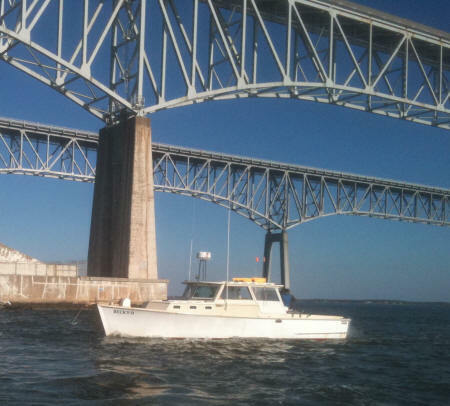 The Becky D is a comfortable Classic Charter boat equipped with the finest gear on the Bay. The Becky D departs from Annapolis Maryland, one of the closest major fishing ports to both the Washington and Baltimore area. Only about 10 minutes from the Chesapeake Bay Bridge off Rt 50 on the western shore side. We are within easy reach for our friends in Virginia, Pennsylvania, New Jersey and Delaware. The Becky D with Capt. Ed Darwin offers Charter fishing in the Middle and Upper Chesapeake Bay from Annapolis, Kent Island, and the mid-Bay areas. Maryland Chesapeake Bay Charter Boat Fishing for Striped Bass (Chesapeake Rockfish) onboard the Becky D with Capt Ed Darwin. 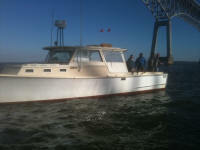 Annapolis Fishing Parties up to 6 passengers. 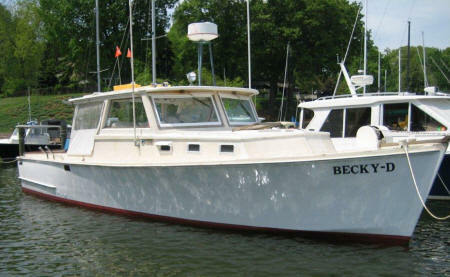 The Becky D is located in the heart of Chesapeake Bay Country, we can get you the best fishing grounds in a short time. Capt. 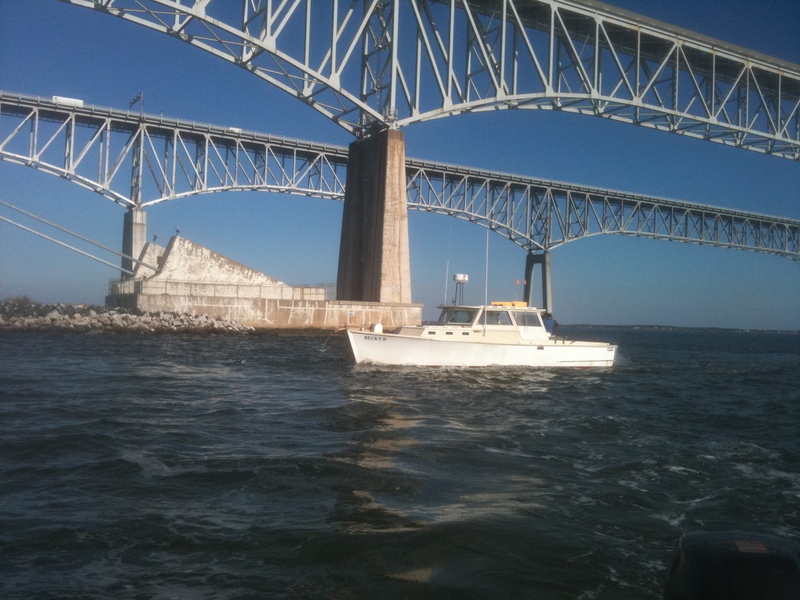 Ed specializes in fishing Chesapeake Bay Bridge area for Striped Bass and bottom fishing for Perch, Croaker, Spot and more. 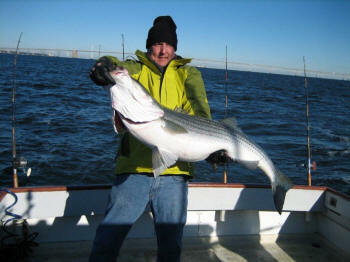 During the Early Spring Trophy Striper season, we find the large Striped Bass moving in the mid-bay areas. 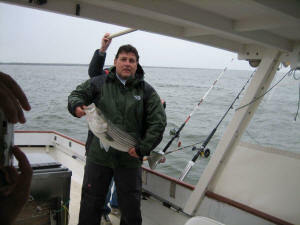 Light Tackle Chumming and Live Lining for Striped Bass! Capt. 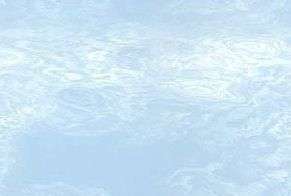 Ed offers a mix of Trolling, Spin Cast or Bait Fishing equipment to meet your needs. Bottom Fishing for Perch, Spot and Croaker. Great Fall Striped Bass Fishing! Sept. & Oct. we have Birds over schools of bait with feeding Blues as they prepare to migrate. Followed by rockfish breaking as they feed for winter. This is the best time to catch the fish by light tackle jigging. November / December rockfish feed constantly, fattening for winter. This makes catching fast and furious. Get ready for some fantastic fishing. 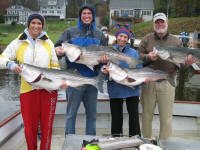 Late November / December Trophy Stripers return to the Bay. The last several years more fish from 20 to 50+ pounds were caught than in previous times. You will need not have to wait until April to catch your Trophy Striped Bass! Great Fall Fishing for Stripers! 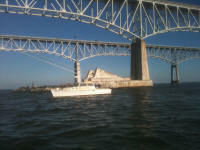 Ready for a Great Day on the Chesapeake Bay? Capt. Ed has been fishing the Bay for over 50 years. Capt. 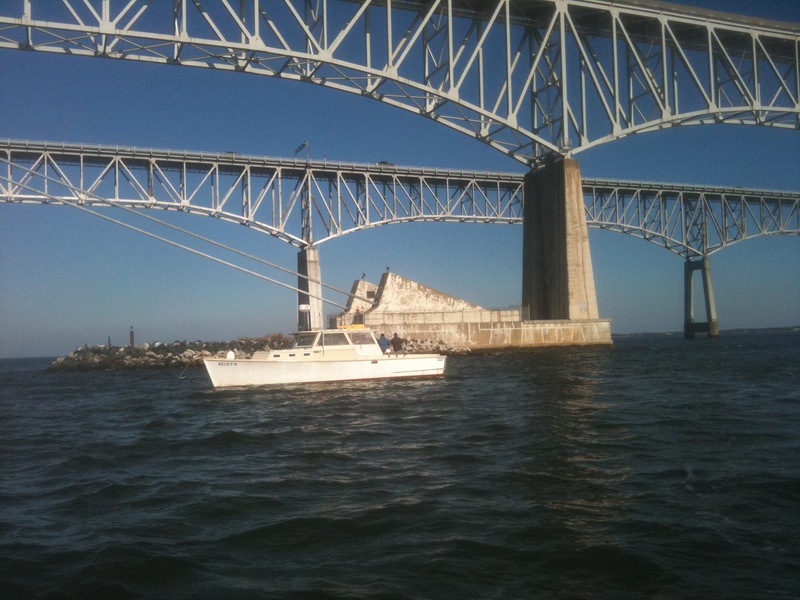 Ed Darwin, left, and his client of 43 years, Morris Morrell, show off a rockfish near the Bay Bridge. 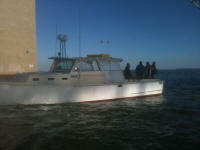 The Marine Listing Service, Inc.
"No fish were harmed during the construction of this site"